Description: The article is devoted the problem of planning of digital hearings devices. Existent methods and algorithms of the digital signal processing, used in modern digital hearings devices for indemnification of auditory losses, and also feature of perception of speech by patients by a sensorineural hearing loss are analysed. The new chart of noise blanking, which is basis of algorithm of increase of legibility of speech for patients by a sensorineural hearing loss, is offered. Prasol, I.V. 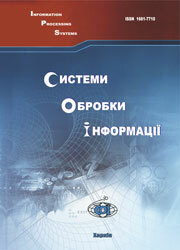 and Nechiporenko, A.S. (2009), “Osobennosti proektirovaniia tsifrovykh slukhovykh apparatov na osnove rechevykh protsessorov”, Information Processing Systems, Vol. 2(76), pp. 83-90.